If you’re here, it’s likely you know that email marketing is the number one way for service-based entrepreneurs to nurture their followers into paying clients. One of the biggest things I’ve heard from entrepreneurs who are frustrated with marketing their business online is that they’re “not getting results”. Click here to keep reading. For many of you, January offers a fresh start in a new year and is the perfect time to consider new business goals. If you want to really grow in 2016, you need to evaluate your marketing efforts and consider whether you are utilizing the most effective strategies out there. 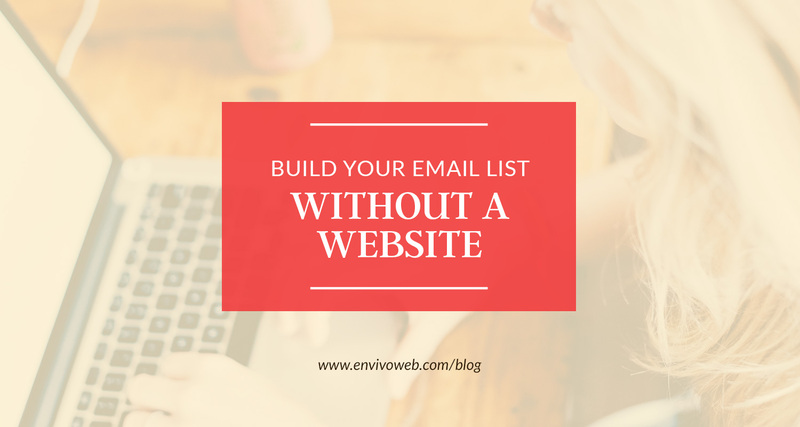 Here’s my number-one recommendation for you this year: Create, cultivate, and nurture an email list. Click here to keep reading.